We have a range of products which are available to purchase at our clinic. This can be used for back muscle training, pelvis training and as a balance device. For relaxing and dynamic sitting, the vibrations produced naturally by the body (through breathing etc.) are not suddenly halted but can continue according to their own rhythm. The erect posture is optimised and the muscles stabilising the spine are trained. Gym balls can be used for a variety of exercises to help with back muscle training, pelvis training and balance. The Blue-Point heel cups are made from medical grade viscoelastic silicone for long lasting support and comfort. The blue point in the heel cup has a softer durometer profile for enhanced comfort. The shape of the heel cups and position of the blue point helps relieve pressure and pain at the most sensitive area of the plantar fascia. 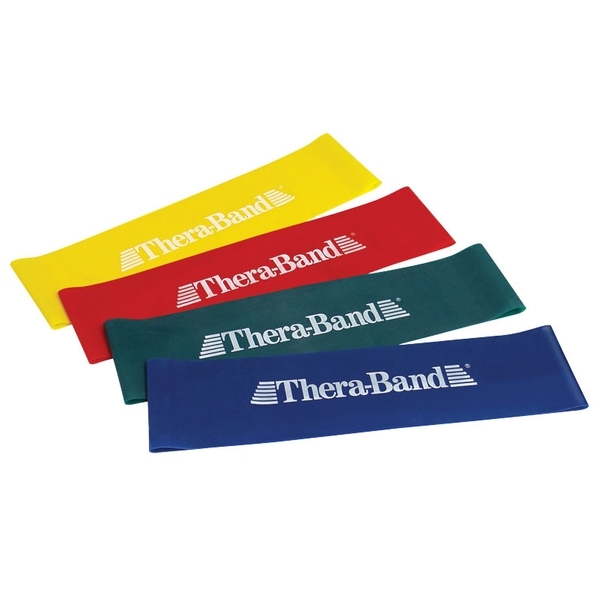 Re-usable Theraflex hot/cold packs are manufactured from a new elastic gel that stays very supple for both hot and cold therapy, allowing you to mould the pack around the area of the body that needs to be treated. The elastic gel is non-toxic and biodegradable. Supports the lower back and provides warmth while still giving total flexibility. Available in round and ‘D’ shapes and in different sizes. Lumbar supports promote proper posture by providing support for the lower back. This versatile resistive exercise band can help improve strength and endurance, range of motion and flexibility. The bands are colour coded and resistance can be progressed. Patient exercise packs include 1.5metres of exercise band and a 16 page colour booklet covering 40 resistive exercises for both the upper and lower body. The wedge shape places the user’s pelvis in an anterior tilt so as to prevent slouching and will correctly align the spine. The wedge cushion is also available as a coccyx wedge to alleviate pressure on a tender or injured coccyx.